Sid Cook, owner and Master Cheesemaker at Carr Valley Cheese Company, lovingly created this deliciously intense, nutty and robust olive-oil-cured cheese. Named after the Spanish Canary Island that inspired it, Gran Canaria is crafted with a blend of sheep, cow and goat milk, then aged for at least two years. 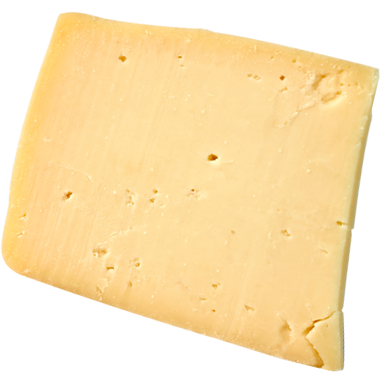 It has won heaps of prestigious awards, including Best of Show at the 2014 American Cheese Society Competition. Here’s to Cook, a fourth generation Wisconsin cheesemaking master. And here’s to Canaria, a true masterpiece! Cook breaks new creamy and crumbly ground in our fair state year after year, and Gran Canaria is one of the all-time greats, in our humble opinion. One-of-a-kind cheeses like Gran Canaria deserve to be treated with care when serving and storing. For the former, always serve it at room temperature. Store it in waxed paper in your crisper, so it can breathe a bit and keep its extraordinary smell to itself. Go big or go home with Gran Canaria! For beer, we recommend Belgian ale, amber ale and saison ale. For wine, we reach for complex reds like pinot noir, zinfandel and malbec. And in terms of heft, Kentucky bourbon and Old Fashioneds and Manhattans can both hold their own with this strong-armed cheese. Gran Canaria spends a minimum of two years aging so it can grace you with its presence and flavor. We recommend rolling out the red carpet for this cheese, either with a killer cheese board or by eating it alongside something hearty: Think slow-braised short ribs, garlic and herby prime rib or a seafood stew like cioppino.